Audi wants to bring 12 pure e-cars to the market by 2025. One of the models has now been unveiled in L.A. In the past, it has always been the case that healthy and ethically correct behavior has been associated with limitations. Then the vegans cycled in sleet in self-sewn linen outfit to the organic market to stock up on sprouted carrots and wholemeal flour, for which they had to pay a small fortune at the box office, of course. The only pleasure could be drawn from the fact that one had a clear conscience towards the environment and society. Meanwhile, these times are over. Vegan or at least vegetarian food is delicious and is very trendy. And you do not necessarily have to move on the bike, but can even opt for a comfortable electric car. Because that can also be refueled with renewable energy. Admittedly, here too notorious complainers could still find horsetails, for example, by referring to the energy and material consumption during manufacture or criticizing tire wear on the road. Lens can be but hold on: This Sportback variant of the E-Tron is forward-looking and combines a green conscience in the best possible way with real driving pleasure. Even visually, the extremely flat and sporty four-door is a feast for the eyes. 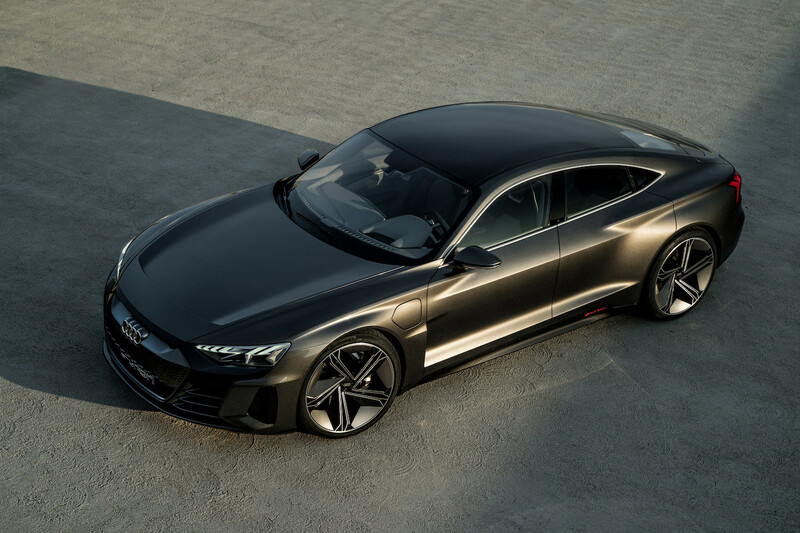 The Neckarsulm designers from Audi Sport once again impressively prove what they are capable of. The striking front end with the slotted rejuvenated headlights can be interpreted as a self-confident, but mischievous smile. 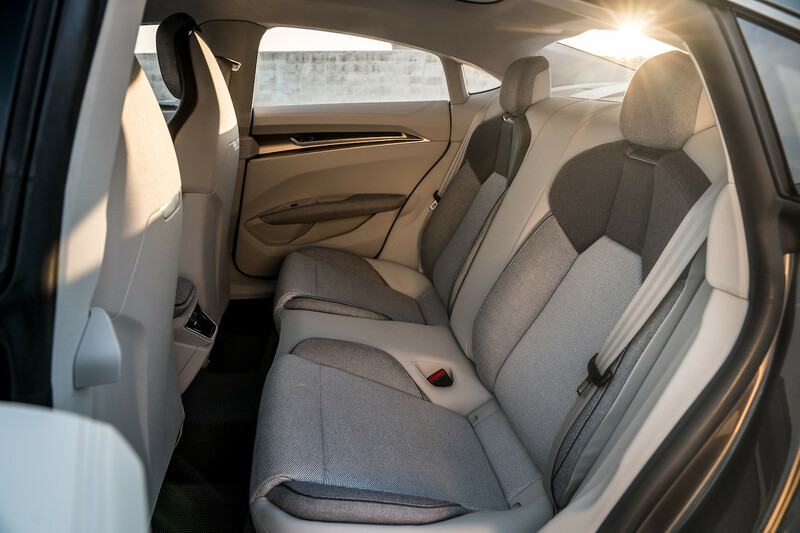 Due to the low height of 138 centimeters, this E-Tron, with its overall width of 196 centimeters and the 22-inch rims, is as powerful as it is sporty. 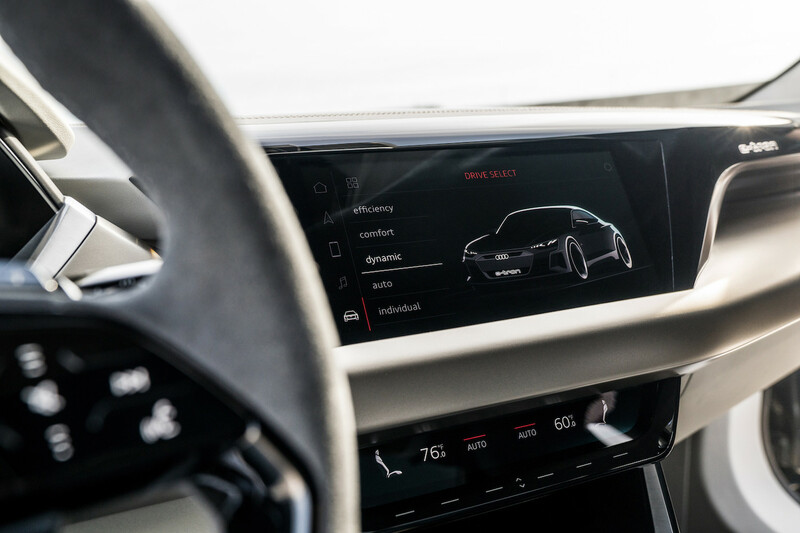 What is no glare: The electric motors bring it together to full 590 horsepower and accelerate the E-Tron within 3.5 seconds from a standstill to 100 km h.
The 200 km / h mark is reached after around 12 seconds, which probably only a few competitors can imitate. 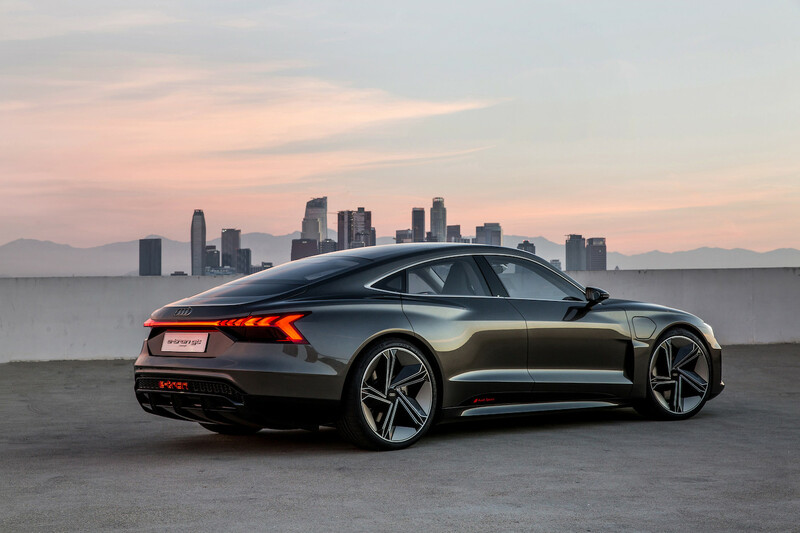 Perhaps the biggest competitor will come from his own family, after all, he also served as a technical platform for this E-Tron: The upcoming Porsche Taycan will be the E-Tron GT Concept only marginally ahead, what true Audi fans but get over become. 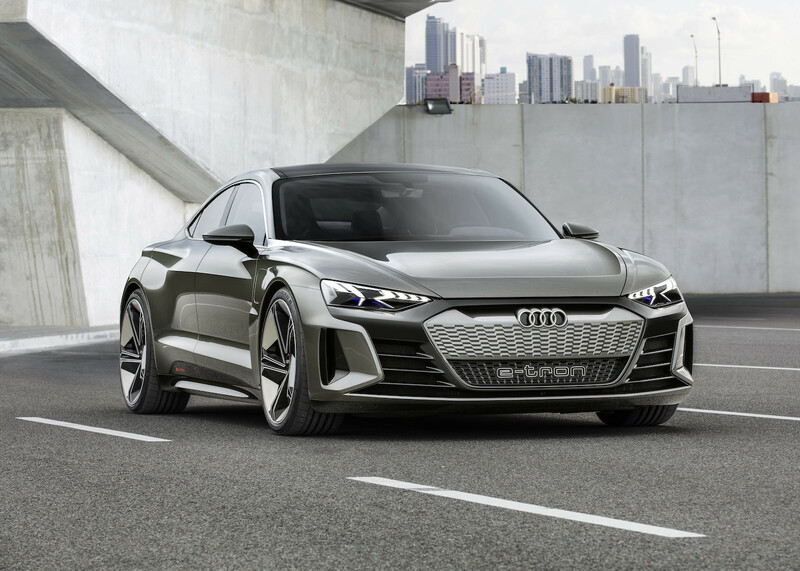 After all, the E-Tron GT Concept has its own design and should probably not meet too often in the everyday life on the Zuffenhausen half-brother. And how about green conscience? Years ago, many people would not have mistakenly called a car like this a fuel-eating monster that made noise and stink everywhere. 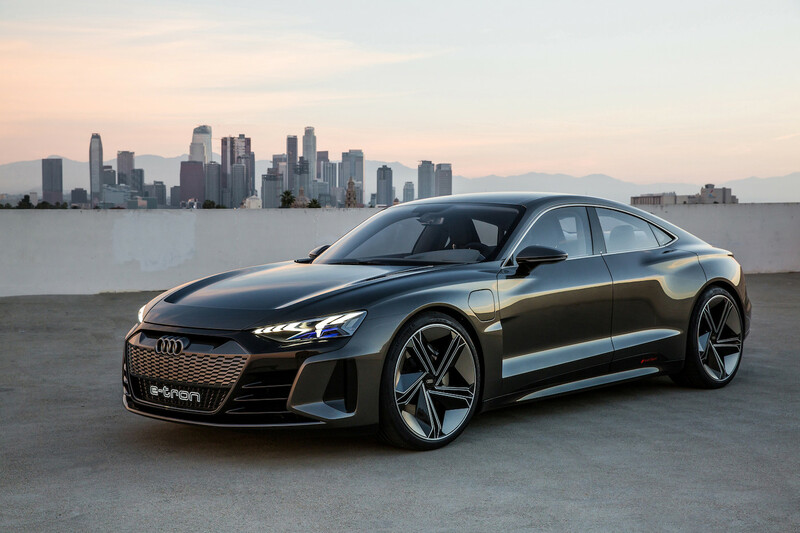 The powerful electric motors of the E-Tron GT Concept are unsuspicious in both respects. 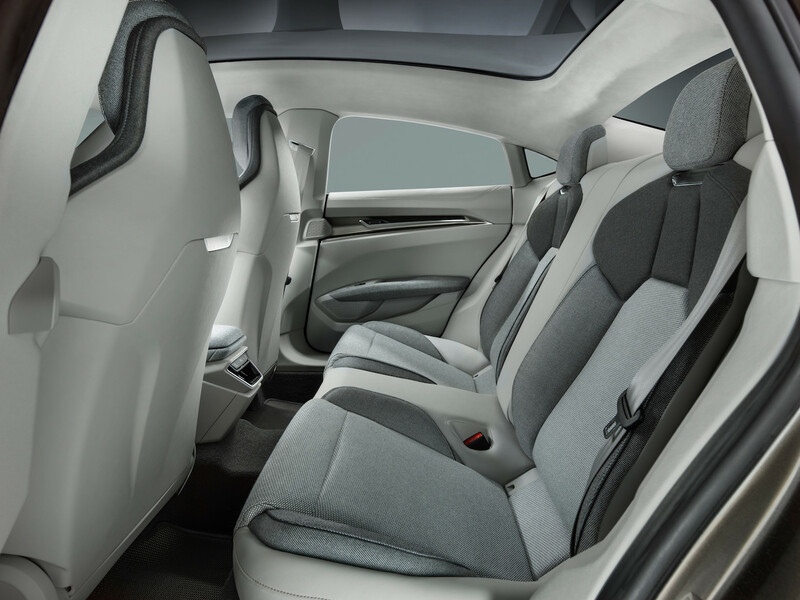 And even the vegans can sit down with a clear conscience, because Audi Sport consciously dispenses with real leather when fitting the vehicle. If that’s not a statement!